Sanzaar CEO Andy Marinos says that they want to host more matches in the Northern Hemisphere as they want to build a bigger audience. 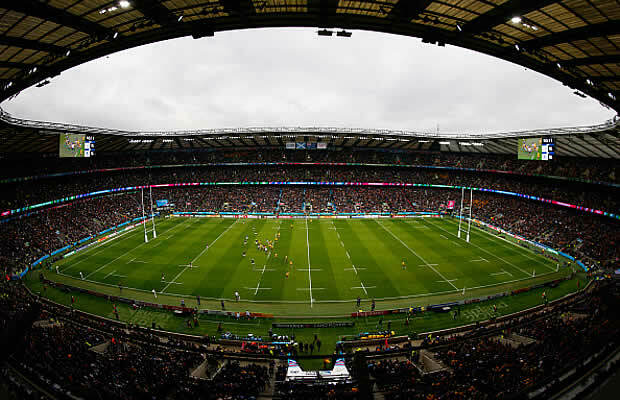 The final Rugby Championship match this year will be held at Twickenham stadium in England and Marinos says that they would like to see more matches played outside of their traditional countries. Argentina have moved their match against Australia to Twickenham in London England instead of hosting it in Argentina. This will be the first time that a Rugby Championship match will be played outside of Argentina, Australia, South Africa or New Zealand. Australia and New Zealand have taken Bledisloe Cup matches to Tokyo and twice to Hong Kong but these matches fall outside of the Rugby Championship. Marinos says this kind of fixture could the start of a regular fixture in Europe. “We saw how positive the World Cup was in the UK and we feel our game is about taking it to as many supporters as possible,” Marinos told Reuters. “It’s a good opportunity for extra exposure and bringing a meaningful Rugby Championship game to London is something that will continue to promote rugby at a moment when its popularity is continuing to grow. Sanzaar’s TV fugures have dropped considerably in recent years and this year’s Super 18 Rugby format has accelerated the drop off so they need to look at new ways to expand their market. “Australia, New Zealand, South Africa all have huge ex-pat communities in the UK so these games will be attractive to them,” he said. The Rugby Championship starts on August 20 when Australia host the All Blacks in Sydney.